In the first two rounds of Grading Chiarelli: Oilers Summer Moves the Edmonton Oilers organization let people leave the franchise and, in many cases, did not replace them with players who would improve the team in areas of weakness. In some cases, the exits were warranted. In others, questionable. On the flip side, the team also made one of the biggest signings in their organization’s history. 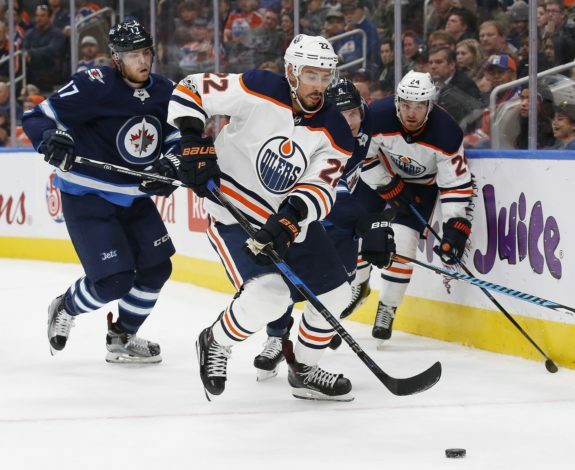 In Part III, the Oilers signed another big contract, invited a veteran to training camp and started making roster cuts. They’ll also be looking at re-signing one of their better forward acquisitions in some time. If getting Connor McDavid signed was priority one, then signing Leon Draisaitl was easily priority number two. After he had a career year and wound up top-ten in NHL scoring in 2016-17, there was no doubt it would cost the franchise some big money to keep him long-term. The question became, do the Oilers throw millions at him now over seven or eight years, or do they work on a bridge deal asking him to prove that his 2016-17 season wasn’t a fluke. Having a one-two punch of Draisaitl and McDavid would set the organization up for years to come at center, but it would also create a situation similar to the ones in Chicago and Pittsburgh where two players would be earning a large portion of the salary cap. It wasn’t a decision that came quickly. With the alleged lure of an offer sheet out there, fans started to worry that the deal was taking too long. Finally, in the middle of August, it was announced the Oilers went long-term and signed Draisaitl to an eight-year deal worth $68 million. 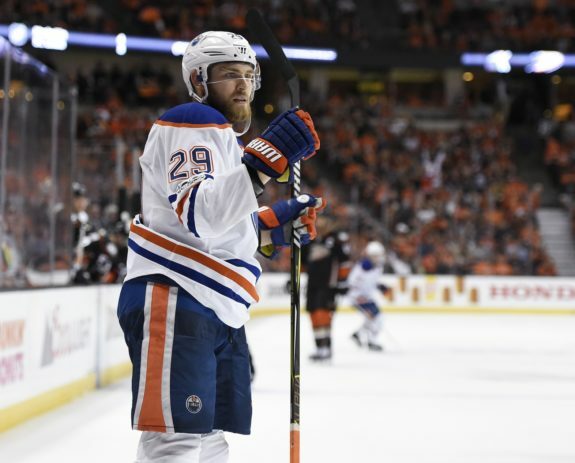 Whether you view Draisaitl as the Mark Messier to McDavid as Wayne Gretzky, an $8.5 million per year deal is a lot of money for a player who seems on the surface to be the right choice but is also a gamble. The Oilers are placing most of their chips in Draisaitl’s basket and have potentially sacrificed a number of contracts if it wasn’t the correct call. Long-term this signing was a good move. The money is scary and potentially problematic. It all depends on what happens with the salary cap over the next few seasons. Oilers general manager Peter Chiarelli had a relationship with Chris Kelly from his days in Boston. So to hear that the Oilers had invited Kelly to training camp on a professional tryout, it wasn’t terribly surprising. Still, there weren’t many who believed the veteran center offered much nor did he really stand a chance of making the team. The Oilers needed a depth center with faceoff ability. In the last four years, Kelly has been under 50 percent. The Oilers needed speed to play within their sure-to-be quick system, Kelly might not be that guy. He had 12 points in 82 games last season and the transaction seemed more like a GM doing a veteran player a solid favor and letting him showcase what he has to other NHL teams than it did Edmonton trying to solve a problem. That said, Kelly has been decent in training camp and Chiarelli likes his veterans to augment his team. What at first seemed like only an option if the injury situation required it now looks like a guy who might have a shot. The Edmonton Oilers have quickly narrowed down their team to only those players who really have a chance at making this year’s roster. 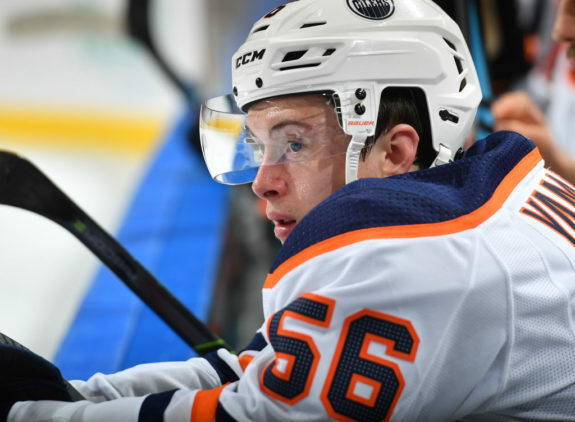 There’s no reason to keep the likes of Caleb Jones, Ethan Bear, Joey LaLeggia, Ryan Mantha or others the Oilers view as viable prospects if they won’t be in Edmonton come October. The players left are Kailer Yamamoto, Jujhar Khaira and Jessie Puljujarvi at forward and Dillon Simpson on defence. It is in those positions where the real battles are and those players should have the right to battle it out for the open spots on this team. Yamamoto looks likes an NHL’er in the preseason and the Oilers 2017 first-round draft choice has a legitimate shot at an open spot out of camp. It appears to be his job to lose at this point. Over the course of three rounds, we’ve learned a few things about the 2017-18 version of the Edmonton Oilers. First, the team should be contenders. They’ve kept most of their nucleus intact, losing only Jordan Eberle as a key top-six forward. Second, the Oilers had an opportunity to add players where they were weak. Faceoffs, right wing and the penalty kill were areas of concern and they still might be. Third, the Oilers are now and forever more a salary cap cautious team. Many of their moves from here on in will be based on how the team manages their cap. 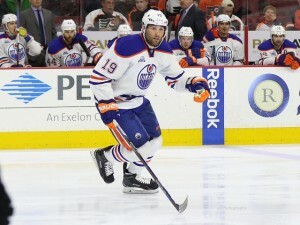 A player like Patrick Maroon, for example, is in negotiations with the Oilers on an extension. In previous years, a cap hit starting with a four wouldn’t have been a big deal. Now it is. Chiarelli gets credit for removing pieces that were expensive and not pulling their weight. He gets credit for keeping the core intact and he gets credit for some potentially astute moves like Jussi Jokinen and Chris Kelly. He loses points on the amount of money he spent on Kris Russell, not finding a proven right winger and not adding faceoff help (preseason has proven that is still an issue). He also gets a pass on deals like McDavid and Draisaitl. While critically important, a monkey could have done the McDavid deal and the amount spent on Draisaitl could be every bit of what he’s worth, but it might also be too much. Had the deal been done last year, it would have come in at a much lower price-point. This was a summer that Chiarelli should have gone all-in to improve the team in as many ways as he could have. The window of opportunity in the NHL is always small. It’s uncertain if he passed on that opportunity hoping down the road this season he could make up for it.